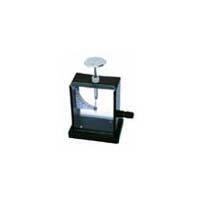 Description :- This electroscope comprises of a metal case with transparent front and back. The highly insulating bush at the top of the case takes either a disc top plate 50mm diameter or a metal hook. 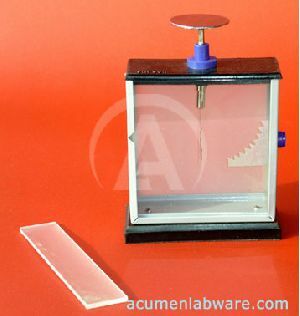 It has a transparent scale and is fitted with a 4mm socket. 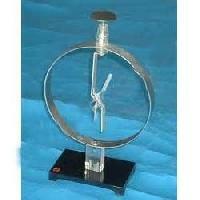 In rectangular cast metal case, with removable glass window and fitted with 4 mm earthing socket. A metal disc passes through an insulating polythene bush and ends in a flat support for “gold leaf”. 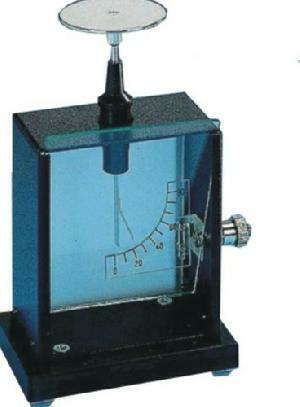 With a transparent scale to show quantum of deflection. With a supply of leaves and instructions for fitting. 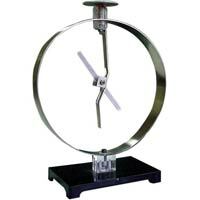 We offer our esteemed clients, Gold Leaf Electroscope . 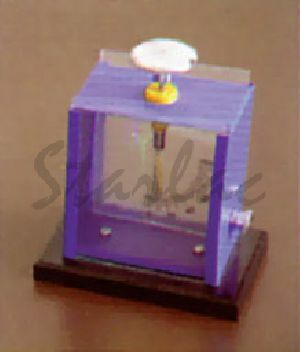 The Gold Leaf Electroscope comes with a metal case, which eliminates vagrant deflections, caused by charges residing on glass walls. 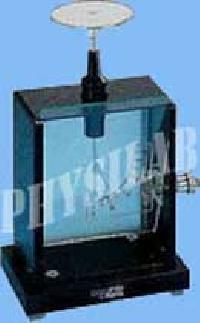 In addition, the leaf support rod is made of glass to give good visibility. 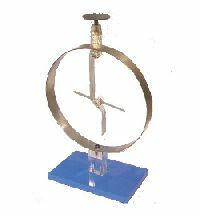 Avail the Gold Leaf Electroscope at nominal market prices. 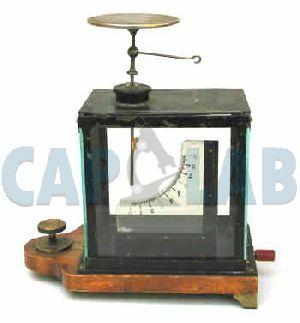 GOLD LEAF ELECTROSCOPE A metal case with 4 mm earthing socket with glass window. 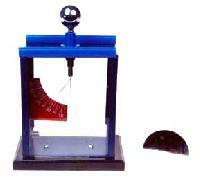 A metal disc passes through an insulating polythene bush and ends in a flat support for “gold leaf” with a transparent scale to show quantum of deflection. Rectangular case and polythene insulated lid with finger flap to facilitate removal. Case fitted with 4mm. earthing socket is tapped in base to take support rod. 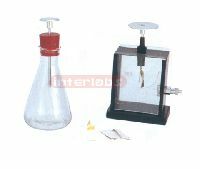 Front glass window slides up to allow insertion of ionising material in chamber and gold leaf support plate and aluminium scale with 6 radial notches of 10o are provided, with one pair of leaves. A metal plate on which a single gold leaf supported by an insulating bush in a metal case with a 4mm socket earthing terminal. 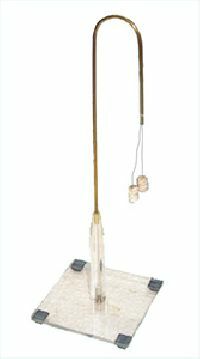 The front window is clear & the rear window is of ground glass mounted upon a base & two interchangeable electrodes are supplied. 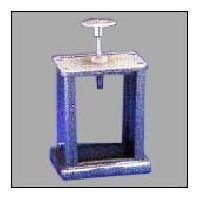 One being a traditional disc top plate 50mm diameter, while the other is in the form of a metal hook 160mm. A rectangular sheet metal case and a polythene removable lid. Case fitted with a 4mm earthing socket, sliding glass window, a gold leaf support plate and an arc type notched scale. Supplied with one pair of gold leaves. For introductory electrostatic experiments and for indication of DC & AC voltages. Suitable for shadow projection. Complete with detachable capacitor plate. 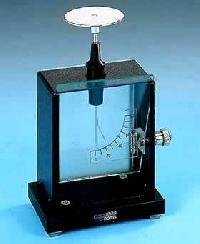 Electroscope pith ball type[electroscope] for demonstrating the attraction and repulsion of electric charges. 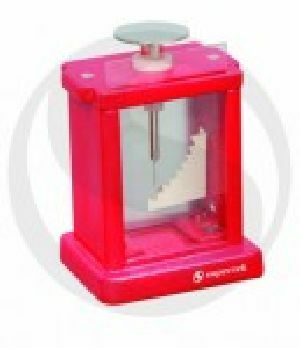 Consists of a an insulated brass pillar and hook on a base. Supplied with two colored pith balls with strings attached. Cat. No. 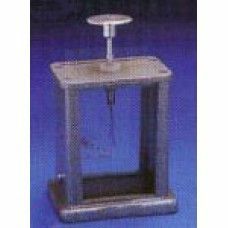 This rugged, sensitive electroscope can accept various accessories to change its capacitance. 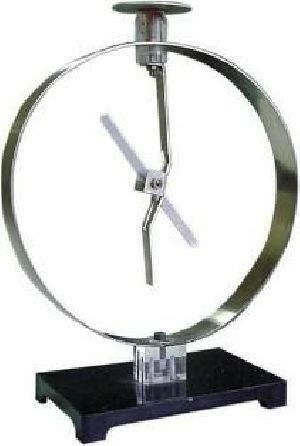 Sensitive aluminium vane is balanced in a vertical position on a metal support which is insulated from its base. 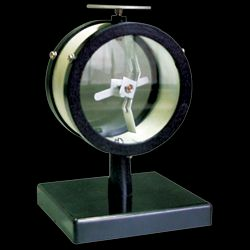 The vane is easily observed and projected on a chalk board (light source not included). On which an arbitrary scale has been marked.